Johann Christian Bach settled in London in 1762 after acquiring extensive experience in Italy. His Six Sonatas, op. 5, are signposts towards the future classical piano sonata. Bach wrote them for the “Hammerflügel”, which was still a very new instrument at that time; he esteemed the instrument and frequently performed on it in public. On his own London concert tour, the young Mozart manifested his enthusiasm for the piano works of the so-called “London” Bach. He was so enchanted by them that he reworked Sonatas 2-4 into piano concertos, known today as K. 107.
from his famous father, JS Bach. This allowed for quick registration change which helps make these pieces work. If you're preforming on a two manual harpsichord with a shove coupler, you're in trouble. Single manual harpsichords simply don't work. It is much easier to preform these sonatas on the piano because you don't need to worry about registration, just hit the notes. What ever you play these sonatas on, remember to have fun with them and don't take them too seriously. Your audience will appreciate that! that this is an excellent edition and worth the investment. Not only is this music a treasure to play, it is also a fine example of early classical-period writing. Mozart heard these sonatas during his trip to London with his father and incorporated some of the music from the early sonatas into his piano concertos. 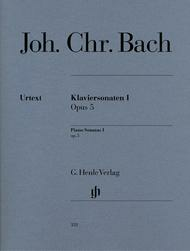 Like all Henle editions, this music has easy to negotiate page turns which have been incorporated into the engraving. 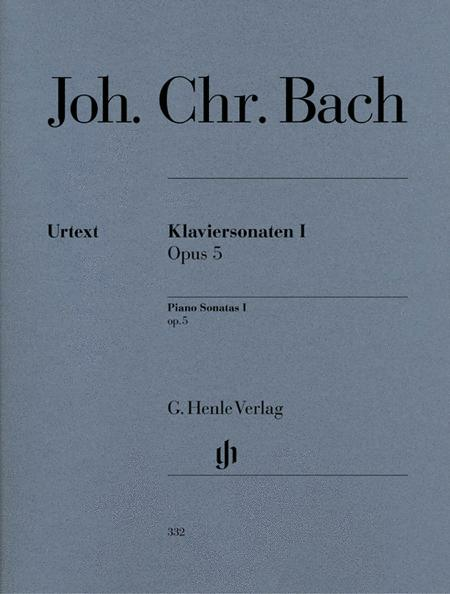 Henle takes the time to work these out, unlike other publishers/printers who basically hack the music so it fits causing difficulties with page turns when reading and site-reading music. HIgh quality edition. Interesting music. Definitely for piano, not harpsichord.